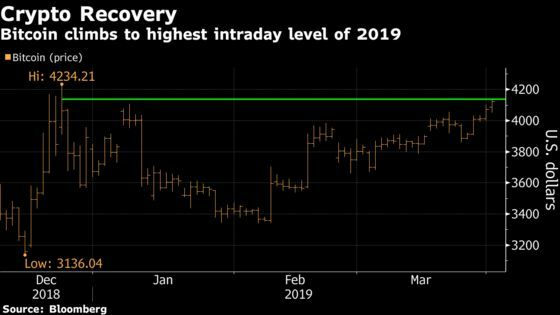 (Bloomberg) -- Bitcoin advanced to the highest level of 2019, the latest milestone for cryptocurrencies as they claw back from a year that saw three-quarters of their market value wiped out. 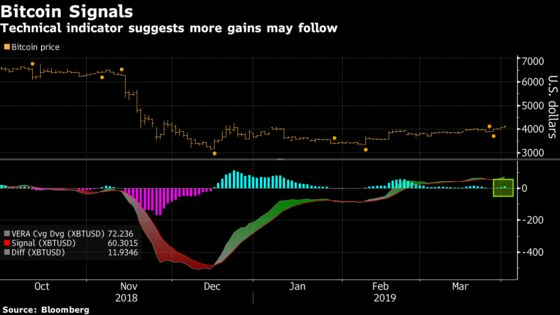 The biggest digital coin on Monday rose as much as 1.6 percent to $4,135.60, the top intraday level since Dec. 24, according to weekday trading data compiled by Bloomberg. So-called alternative coins rallied more, with Dash jumping as much as 31 percent and Monero increasing as much as 10 percent. Bitcoin is close to breaking above an intraday level set on Christmas Eve. That day marked the end of a U.S. stocks selloff, after which the S&P 500 Index started a rally that continued through March and reversed most of the fourth-quarter rout. The digital token’s comeback has been so gradual that its 30-day volatility has sunk almost to levels last seen before the 2017 cryptocurrency mania, when it bounded close to $20,000 and grabbed worldwide attention. 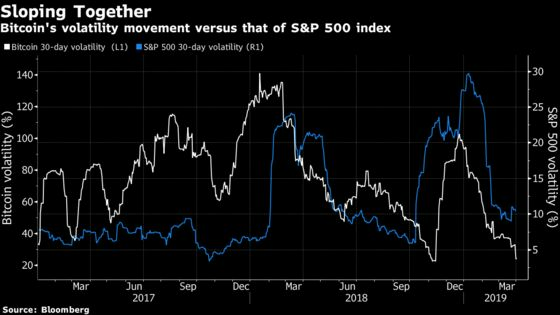 The move upward has opened a new buying trend, according to the GTI VERA Convergence Divergence Indicator, a tool used by traders who look at price history to predict future direction. The measure suggests it could see further upside, the last buy signal was triggered, it resulted in a 17 percent rally in under two months.